Those were the days when SEO was all about the keyword or phrase. My how times have changed. Today it's almost the opposite. If you try to jam a key phrase into a page too many times Google or Bing will actually downgrade your search ranking. Why is Google Going to Downgrade my Search Ranking? Because the jig is up. (And, we aren't mad about it.) You can't just stuff key phrases into a page and expect that Google won't see through it. Since 2011, Google's algorithm has changed with various updates, and they now assign websites a quality score. Google is now rewarding the websites with better quality scores and page rankings when you write in a way that humans like to read, while logically incorporating important phrases into your content's text, videos, imagery, headlines, etc. As I mentioned above, this started back in 2011... So this is not particularly new news, right?! But, now things have taken a step even further. By evaluating a set of web pages and their content, as well as how they're interconnected, Google will identify a website as an authority on a topic that has made smart connections between content pages of a similar topic. A content authority is rewarded by an increase in quality score which, in turn, leads to improving organic search result rankings for the various phrases related to the topic being searched. How Do I Become A Content Authority? Well, that's a good question. 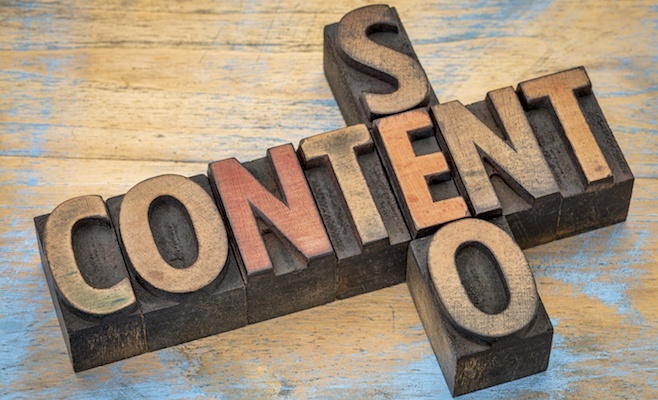 Here are three actionable steps you can take to become a content authority on your website. Before you go too far, be sure you know what topic you want to be recognized for. What's most important for driving traffic to your website and helping develop leads? If you're not sure, this is a good time to be sure you know who you're targeting by developing personas. That helps define the specific challenges for each group which then, in turn, helps you create content that will propose valuable insight and solutions. - Taking the time to do this will guide all of your efforts down the right path. This is important if you're trying to rank for a topic that's really popular. For example, trying to show up in the top search results for the phrase "breast cancer" isn't going to be easy. There are many long-standing content authorities out there with established spaces for this keyword. Not that they can't ever be pushed down in the search results, but maybe there's a better way to get what you want without having to wait and without having to spend as much money to optimize for a popular, common phrase. Look at a more specific topic that you'd like to be known for. For example, we work with cancer centers in various markets around the U.S. We're not as interested in them ranking for the phrase "breast cancer" as much as we want to rank for all of the various phrases related to "breast cancer treatment." This narrows down the playing field to those who offer similar services in their market. 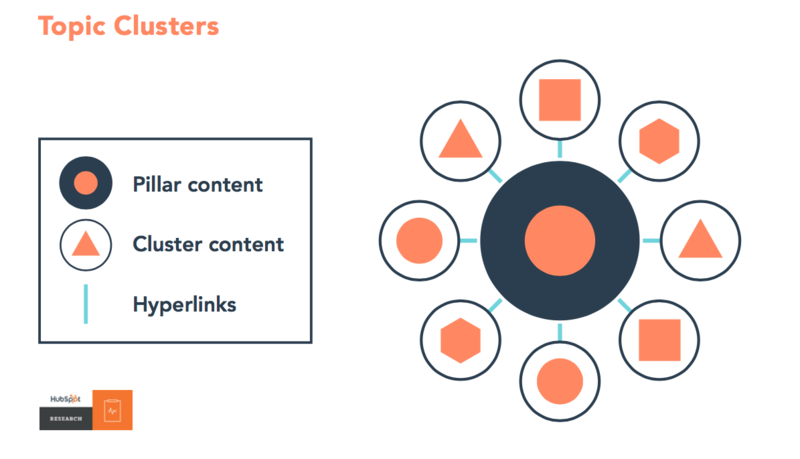 After you've defined your content marketing strategy, established your goals and identified the specific topics that you would like your website to rank for, you'll able to start establishing topic clusters. Once you've figured out what content you have and what you'll be developing, you need a way to connect the pages to one another. Learn more about creating more content with inbound marketing in mind. You'll need to update the links in all of your related content pages to link back the designated pillar page. This action is what forms the "cluster" effect. Every web page or blog post in the cluster content needs to be linked to at least once with anchor text that leads back to the pillar so that a search engine knows it’s part of a topic cluster. By creating valuable content clusters, you're really creating a one-stop-shop for your website visitors. You're going to give both the human and the Google bots the information they need, starting with the pillar page, to quickly identify your website as having a wide breadth and depth of knowledge on the topic you're discussing. Which increases your quality scores, search engine rankings, and overall authority. Also, since you're driving more traffic to your website be sure you have a sales funnel ready to go on your website. This will allow for you to capture leads from your visitors that found you as a result of your topic clusters. Learn more in our free eBook about how to use your content marketing strategy to drive more visits and leads through your website. Click below to download it now. Originally posted March 2017. Updated November 2018.